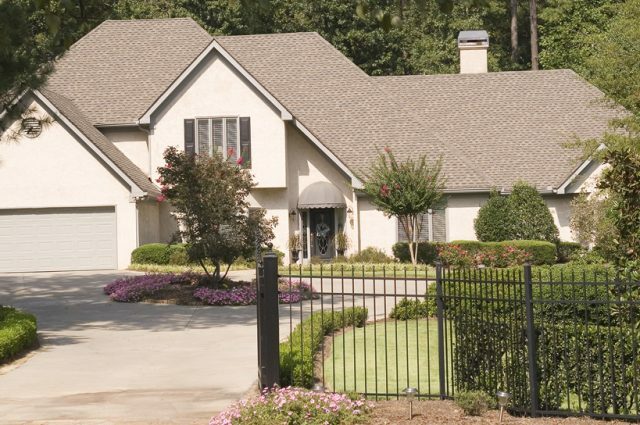 An automatic driveway gate is the pinnacle of outdoor security and stunning curb appeal. Nothing quite so effectively illustrates your home’s regal style — and nothing keeps your property as protected either. While driveway gates are not essential in the same way that fences may be, for the right home and the right homeowner, driveway gates are the perfect touch. See some of the most luxurious metal driveway gates we’ve built — and learn about the 4 big reasons homeowners love them. Homeowners agree: everything feels a little better with a metal driveway gate in front of the house. Your home looks more majestic and you feel a bit safer. Here are the 4 main reasons we hear that homeowners love having automatic driveway gates for their homes. 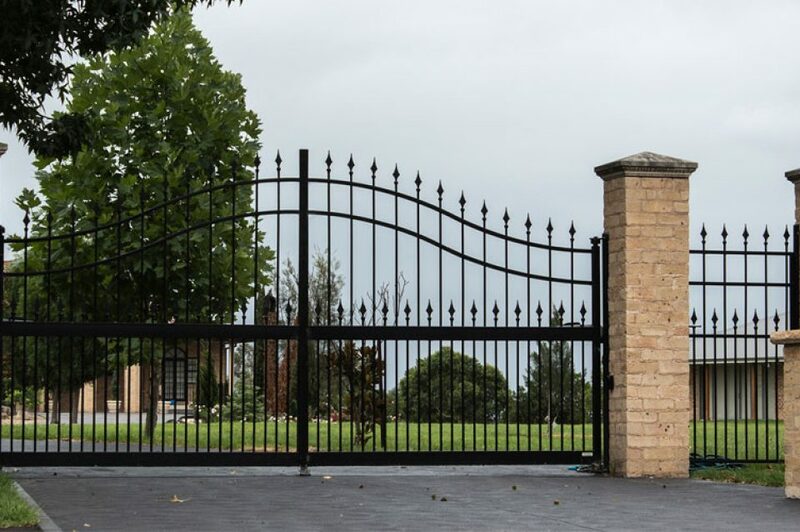 Safety — Whether the gate attaches to a fence that goes all the way around your property or it just blocks your driveway, an automatic driveway gate makes you feel a lot safer. Practically speaking, preventing cars from being able to drive directly up to your home is an effective deterrent in preventing robberies. On a psychological level, nothing sends the message that this house is protected like a metal estate gate. Style — Not every house has the right look for a driveway gate, but if your property does, make the most of it. 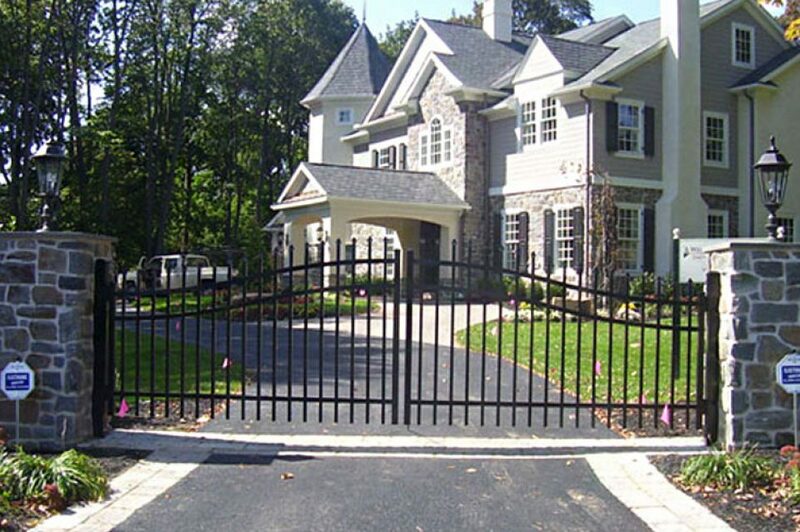 Our sleek metal estate gates look rich whether they are framing your beautiful home or laid out in front of your land. The striking black aluminum adds a classic look along with a truly undeniable sense of luxury. Property Value — That undeniable sense of home luxury doesn’t just affect the way your property feels, but it boosts your home’s value as well. Realtors agree that attractive automatic driveway gates have been shown to increase the value of a home as well as attract more interest on the open market. After all, few things are as synonymous with luxury as a gorgeous metal estate gate. Convenience — The final reason to love an automatic driveway gate is its ease of use. The gate simply swings or slides open – and then you’re home. Just like no one cranks their garage doors anymore, you won’t have to fight with your driveway gate, either. 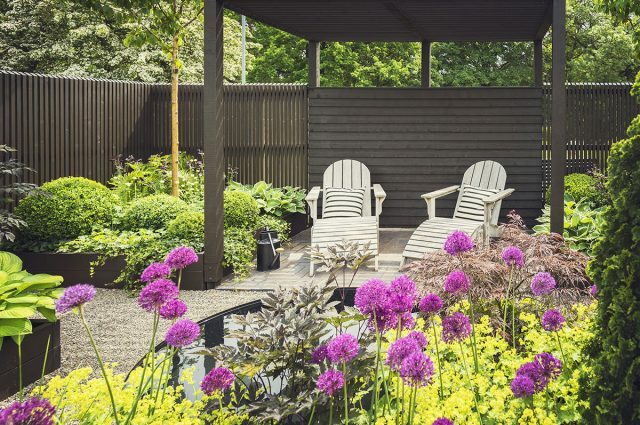 You might have never thought of your home as potentially having an estate gate — but if your house has the right natural style, it just might be the perfect addition. While all automatic driveway gates do the same job and pack all 4 of those benefits, the style you choose can differ from others as your house itself differs from other homes. See some lovely examples of beautiful metal driveway gates we’ve installed. This black aluminum driveway gate connects to a matching aluminum fence surrounding the property. The white stone gate posts closely match the housing material itself for a desirable, unified look. Every automatic driveway gate we build is tailored to your home and your personal style. 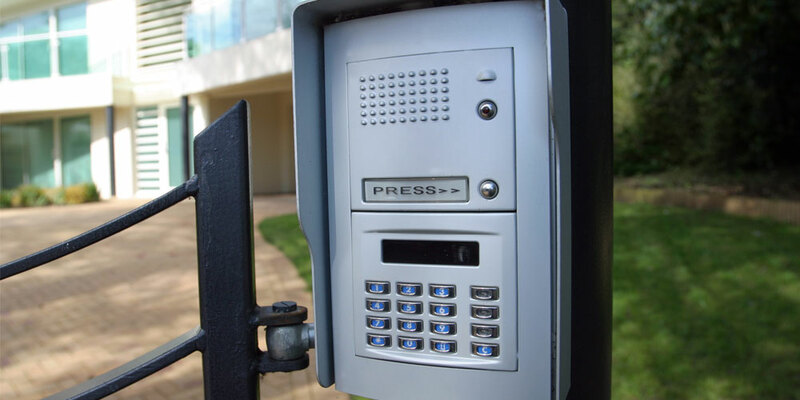 The best way to find out what your gate can look like is to contact us or give us a call. This stately gate with upscale masonry stone columns only blocks the driveway itself rather than connecting to a fence. From a style perspective, the ornate stone columns connect with the stonework on the house itself. This metal driveway gate is attached to a wooden property fence. The gate and the fence itself do a good job of showcasing the gorgeous property, all while keeping it secure. The beauty, the security, and the convenience of an automatic driveway gate can be all yours — you just need the right partner to bring it home. 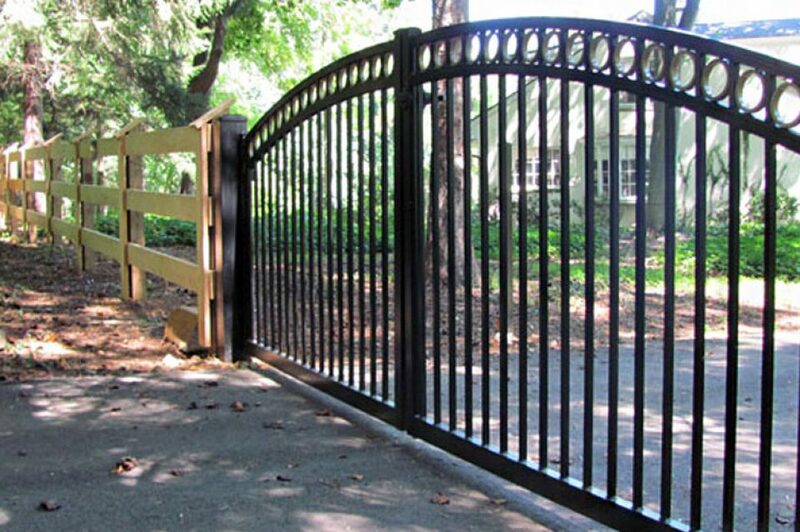 In addition to installing top of the line fence options, Smucker Fencing is one of the expert contractors experienced in metal driveway gate installation. The first step is a conversation and a free quote — contact us for both today.